Downloadable files so you can customize them and design your own items. 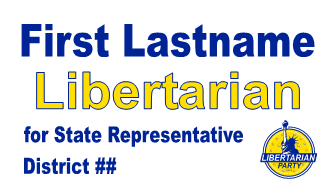 Libertarian candidate sticker template. 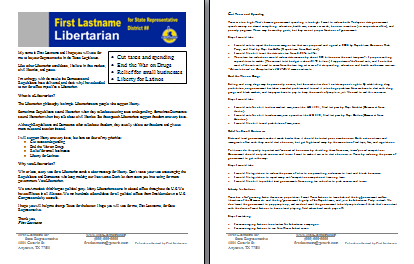 11.5"x3" Microsoft Publisher format. Colors are Pantone Reflex Blue and Pantone Yellow. 9"x3" stickers fit inside No. 10 envelopes without having to fold them. That's convenient for mailing them to supporters. 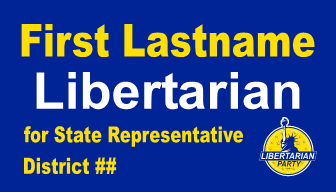 Libertarian candidate sticker template. 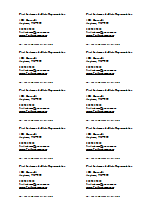 9"x3" Microsoft Publisher format. Colors are Pantone Reflex Blue and Pantone Yellow. 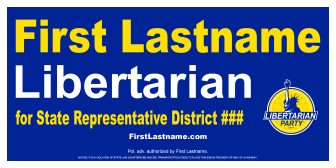 Libertarian candidate yard sign template. 24"x18" Microsoft Publisher format. Colors are Pantone Reflex Blue and Pantone Yellow. 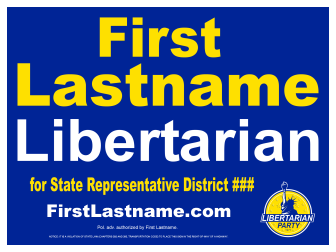 Libertarian candidate yard sign template. 24"x12" Microsoft Publisher format. Colors are Pantone Reflex Blue and Pantone Yellow. 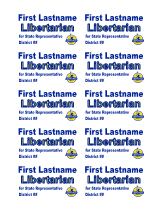 Print your own on business card stock available from office supply stores. On most printers, the blue appears much darker in print than on the computer screen. Microsoft Publisher format. 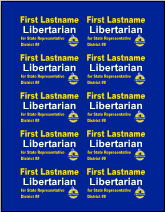 Front & back included in one file. Microsoft Word format. Front only. Microsoft Word format. Back only.